So you think a lush, green grass is not something you can achieve? Think that kind of lawn is for the other guy, the neighbor down the road with the perfect yard, beautiful wife and trustworthy dog that NEVER does his business in someone else’s yard? OK, maybe you’re right. Maybe the green lawn of splendor is not for you. Maybe you think it’s just too much darn work. If you don’t want to put in a little time and effort then, yeah, your lawn will probably stay as brown as a lunch bag. But why concede lawn care defeat? Establishing a beautiful, green lawn is not a full-time job. It just takes a little time and know-how. Know your sprinkler system. Hydration is important. Your lawn needs water. If you've invested in a top-notch lawn-sprinkler system, you’re ahead of the game. You’re going to want to make sure your lawn has enough water to soak in and absorb vital nutrients. Your grass will be at its greenest when it gets an optimal amount of water. If you are living in a dry climate, a lawn irrigation system will really pay off. Early in the morning is a great time to water lawn. There is less sun and usually less wind. This also leaves your lawn with a full day to dry. And be careful about watering at night. You’ll see lots of sprinklers on early in the evening during summer, but it’s important to know that watering later in the day can lead to mildew and fungus. In addition to water, a lawn’s gotta eat. Nutrients are essential for strong roots. Fertilizer should be applied early in the spring months and again several weeks later. When choosing a fertilizer, adhere to the schedule on the manufacture’s label. Don’t stop at just fertilizer. 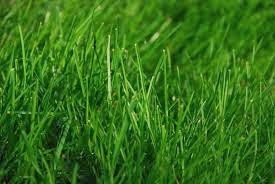 If you really want that great green look to your lawn, look for a product designed specifically to promote green, healthy lawns. There are some excellent eco-friendly lawn products designed to give your lawn a green look.